Many of our English courses lead to Cambridge Certificate exams (FCE, CAE, CPE etc). Our results are usually among the best in Oxford. We run IELTS courses all year round, and we are Oxford's TOEFL iBT exam centre. There is no better language school in Oxford for TOEFL preparation. Hello I would lile to get information to study IELTS course. I am very interested. I live in Oxford. I would like to know the price and the timetable. What do you need the IELTS qualification for, when do you need it by and what score do you require? Our IELTS courses start on particular dates and run for 4 weeks at a time. Students must study full-time as it is a continuous course. The course is from 09:30 – 13:35 for 5 days a week (Monday – Friday). 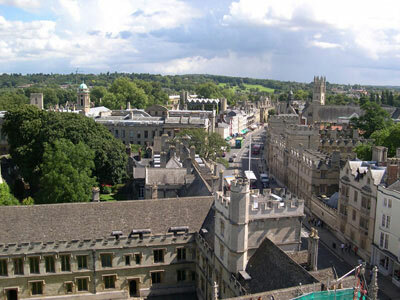 As you live in Oxford, it will be 142 GBP per week, plus a 55 GBP registration fee. Some students decide to study General English first, to improve their English level before moving to the IELTS Preparation course. You can also add a supplementary Writing course in the afternoon depending on your English level and if you would like to improve your Writing skills quickly. Considering this information, when would you like to start studying?